Hans Magnus Enzensberger is one of the most original and exciting thinkers of our time. Like Umberto Eco, Stephen Jay Gould, or Richard Rorty, Enzensberger has the gift of making complex ideas about our world engaging and understandable to anyone—and he writes with rare wit and elegance, never resorting to jargon or obscurity. 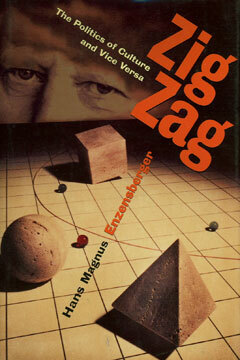 Zig Zag is the definitive statement of Enzensberger’s provocative worldview. In twenty extraordinary essays—some new and translated here for the first time, the rest chosen by Enzensberger himself from throughout his career—he makes an elegant case for open-mindedness in the face of the complexities of contemporary life. The essays cover such topics as: the false importance of consistency; why our ideas about the end of the world and “progress” have changed; Adolf Hitler vs. Saddam Hussein, the increasing “casualization” of contemporary culture; and what luxury will mean in the future.